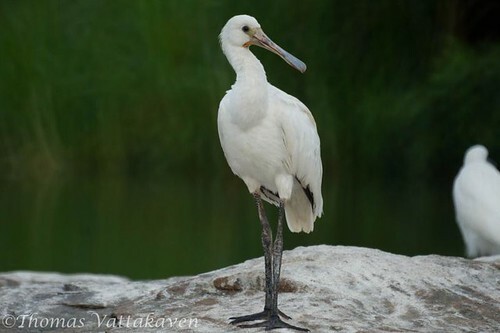 The Eurasian Spoonbill or Common Spoonbill (Platalea leucorodia) is unmistakable due to its long and flattened bill which expands into a flat spoon at the tip. 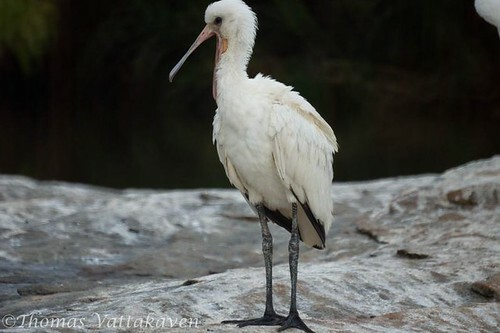 It is a pure white bird with a patch of cinnamon in adult birds on their lower fore neck. The bill is blackish in colour. 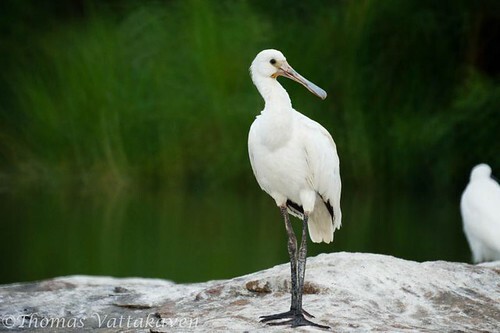 The bird is generally found in flocks about water, often resting and preening by day, idly dozing in the sunlight. When dusk falls, they fly to their feeding grounds in shallow water, travelling in single file in a regular manner with legs and necks outstretched. 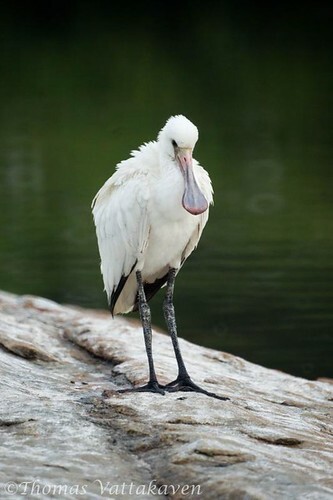 The Spoonbill feeds by wading quickly through water with its beak half immersed, turning from side to side with regular sweeping actions like a scythe. The food consists mainly of vegetable matter but it has been known to include aquatic insects frogs, molluscs and small fish. 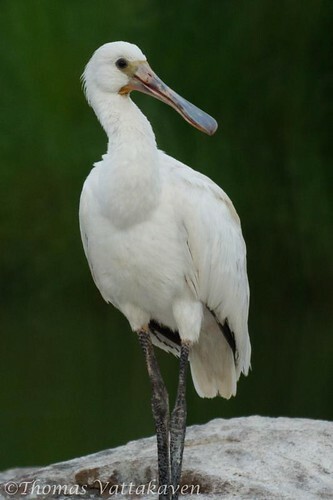 The Spoonbill nests in colonies, often of considerable size, built in large trees. 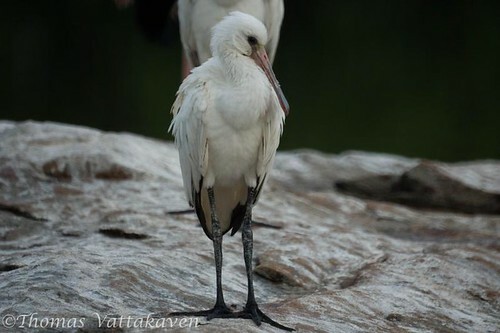 The nests are large and built of sticks and can be repaired and used year after year. Four to five eggs are laid.